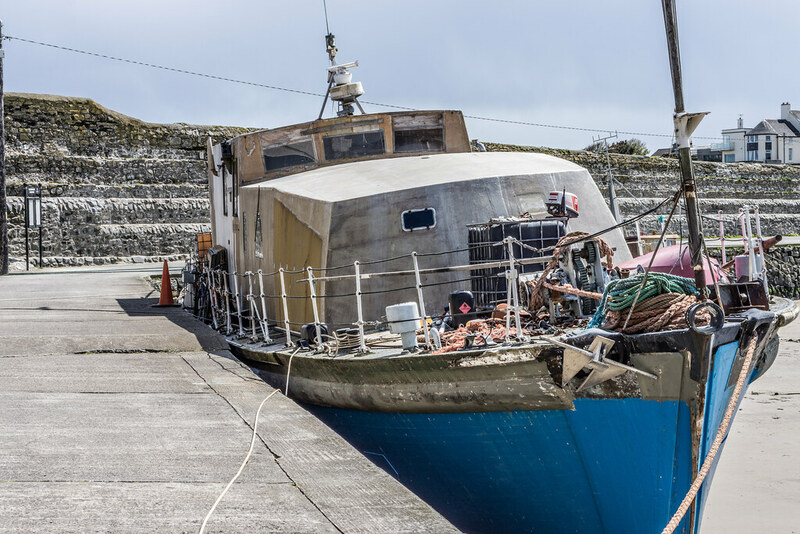 The Supreme Court has deferred a final decision on an appeal by a man living on a former minesweeper vessel in a Dublin harbour against a ruling it can be scrapped because of its unsafe condition. I do not visit Balbriggan on a regular basis but I do like the town and especial the harbour and the beach. This visit the tide was very low so I had more access the the harbour than I have ever had before which was really exciting from a photographer's point of view but on the other hand I was rather depressed by the state of the facility. Apparently, a lot of money was spent removing old wrecks but as soon as the work was completed another problem presented itself in the form of the Portisham. 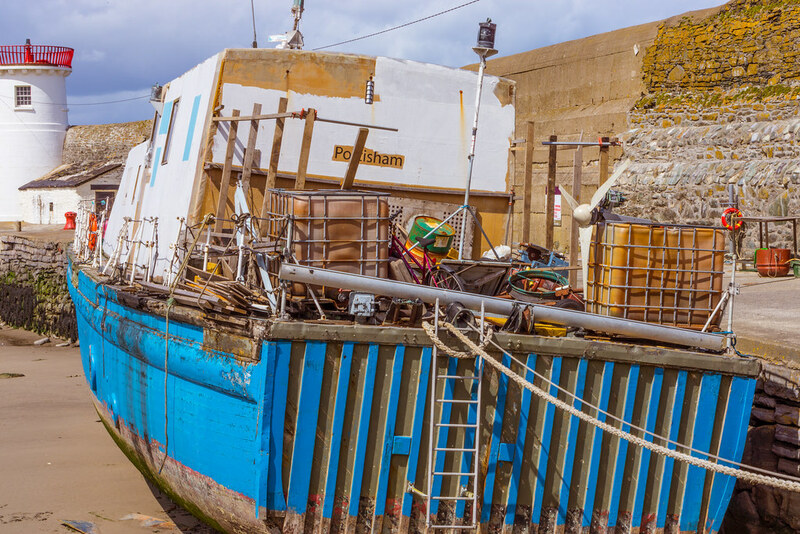 The Portisham is a privately owned ex-minesweeper and at present it could be best described as a floating junkyard but I am not convinced that it is unsafe. Worse still there is a lot of junk on the pier beside the boat. Also the the night club and the burned-out house (and abandoned toilet fittings) do not add to the charm of the harbour area. Their names were all chosen from villages ending in -ham. The minesweeper was named after [Portesham] in Dorset. 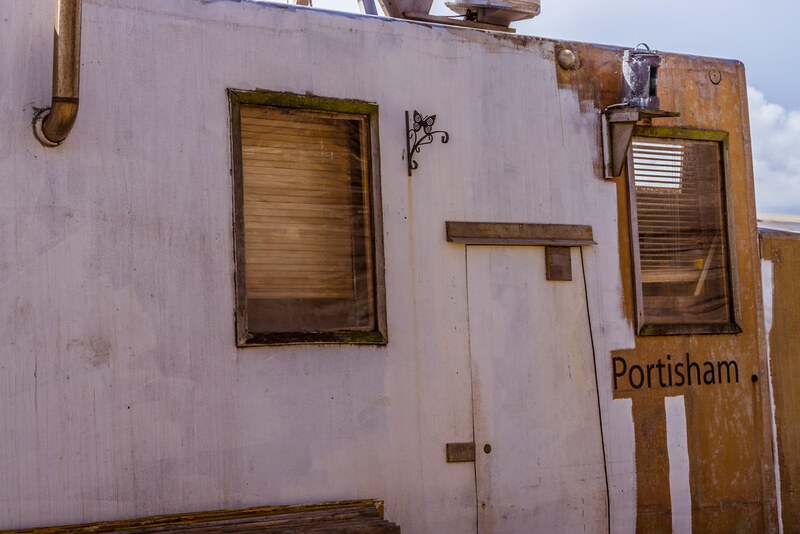 The spelling PORTISHAM is probably a legacy from the previous vessel of this name in service during WW2 and is spelt thus in all authoritative reference books. After her sale in 1989 she was laid up and for sale in a boatyard in Essex. 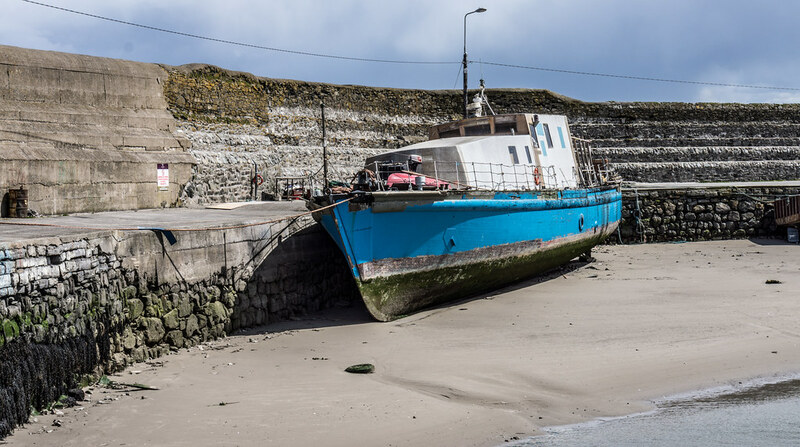 She was procured for conversion to a liveaboard ship by an Irish national in 2007 and is currently the second biggest private vessel under Irish Flag. Her home port is Balbriggan, Co Dublin.